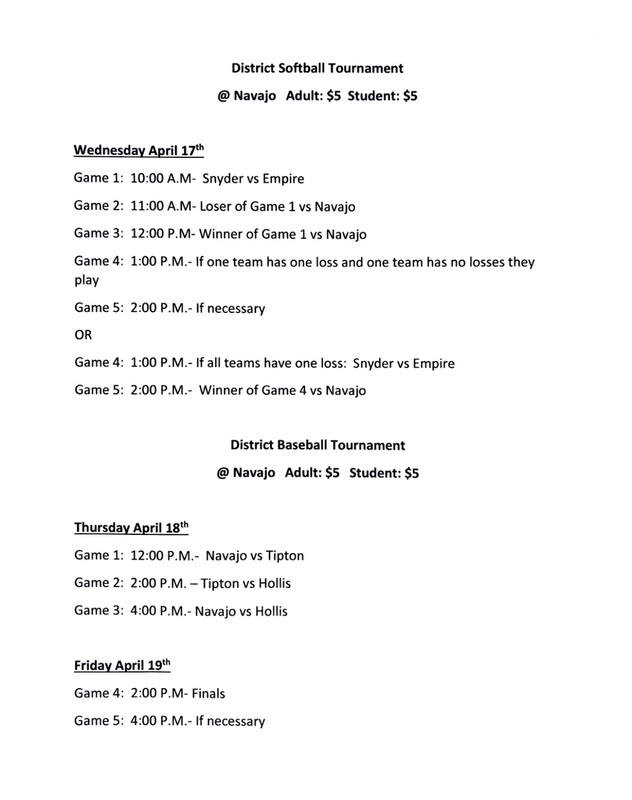 Navajo Indians defeat Hollis 13-0 to win Baseball District Championship!!! Congratulations Angela Nichols and Jewell Smith! Angela earned a superior (1) and Jewell an excellent (2) at state! These girls worked hard on their music and did a great job today!